Russian President Vladimir Putin signed a federal law on activities of credit rating agencies in Russia in July. 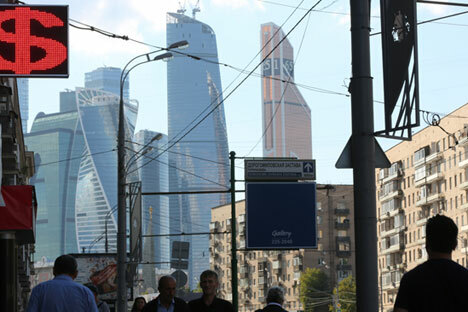 Investors Service (Moody's) has decided to withdraw national scale ratings (NSRs) assigned by its joint venture in Russia, Moody's Interfax Rating Agency (MIRA), in which Moody's owns a 51 percent stake, Moody's said in a press release on March 9. "This decision was taken in light of legislative changes and other potential restrictions applicable to the business of providing NSRs in Russia and notably the expected requirements regarding structural and operational independence which would limit MIRA's ability to make use of Moody's global resources," Moody's said. Russian President Vladimir Putin signed a federal law on activities of credit rating agencies in Russia on July 14. The law stipulates the legal basis for their activities and duties of the Central Bank in this sector. According to the document, "federal law stipulates conditions for the carrying out of activities of credit rating agencies, including the order of submitting information to the registry of such agencies and exclusion from it, the demands to founders (shareholders, participants) of credit rating agencies, structure of its management bodies and internal control, status of rating analytics and peculiarities of information release on the activities of credit rating agencies, and demands to release credit ratings and forecasts on credit ratings." The bill also stipulates the order of approval, application and review methodology of credit rating agencies, in accordance with which they carry out rating activities, and cases of deviating from it.